As a business owner you’ve probably wondered how some businesses seem to get a special treatment by Google. Searching for a barber in your town or city might come up with a highlighted result on top. These businesses are front and center in the search results, not because Google likes them so much, but because they put in the work to get there. 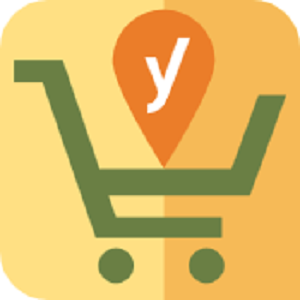 Our Yoast SEO: Local SEO for WooCommerce plugin helps your local online store or business get the exposure it needs. Businesses that correctly fill out the necessary data get a nice spot in the local search results. This is a prime location to feature your company, but you won’t get there so easily: you have to make sure Google knows everything about your firm. But it’s not just for Google because Google won’t spend money in your shop; your local customer will! That’s why you need an awesome contact page and local pickup options in your store. You need Local SEO for WooCommerce. This new plugin is an extension of our regular Local SEO for WordPress plugin. If you have that and you don’t need the WooCommerce integration, then you are already set. You won’t need both. We have a special upgrade price for Local SEO users. Please contact support if you want to take advantage of that. Local SEO for WooCommerce focuses on two main issues: it makes sure your contact pages are excellent and it adds features to WooCommerce to make selling locally easier. It enhances your local search result pages with Google Maps, the correct address and opening hours. It can even provide a store location finder, so customers can find the nearest location of your business. The WooCommerce part of Local SEO for WooCommerce makes it possible for people to pick up their order at your local store or location. You can set the preferred shipping method and present the customer with a nice message announcing when the order is ready for pickup. You can also set the costs per category or location, if any. We’ve added new shipping statuses, so customers can now see if the product is shipped to your location and when it’s ready to pickup. Of course, you can keep your customers up to date with shipping emails. WooCommerce local options – Give your customers the option to locally pick up the goods they order in your store. Insert Google Maps – Add a custom Google Map to your contact page so customers can find you and navigate to your location. Add contact details – Make sure customers can easily contact you. You can add everything you want. Add opening hours – When do you open and when do you close your business? Insert a location finder – Have multiple locations? Use this location finder so customers can find the shop nearest to where they are.